Two films stood out for me in particular this week. 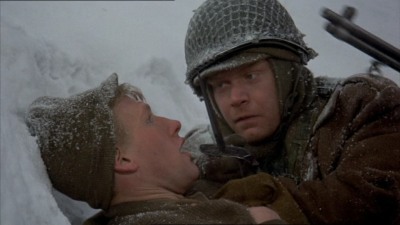 Firstly, George Roy Hill's very respectable adaptation of one of my favourite novels, Slaughterhouse-Five. A movie which incorporates a variety of different genres (war film, science fiction, comedy, romance, comedy, drama) into a surprisingly successful whole, it tells the story of Billy Pilgrim, an American everyman who has 'come unstuck in time', meaning that he experiences various phases of his life in a seemingly random order. One minute he's in Dresden as a POW during the Second World War, the next he's a successful family man and optometrist in Ilium, New York. Before long, he skips back to his childhood, then his wedding night and then forward to a strange future where he's a middle aged captive in an alien zoo on the planet Trafalmadore (we're never quite sure whether this section of the story is actually just taking place within Billy's mind). This cycle repeats on a loop, meaning that both Billy, and the viewer is constantly in a state of passive confusion, never quite sure where the story is going to flash forward or back to next. Although the film never quite touches the heights of Kurt Vonnegut's wonderful novel (I guess because a great deal of the magic is contained within Vonnegut's prose style), it's still a fascinating way of looking into the trauma caused to a generation whose lives were profoundly affected by their participation in a terrible and bloody conflict. Secondly, we have the French animated film, The Illusionist (not to be confused with the Edward Norton picture of the same name). The plot concerns the life of a Tatischeff, an aging French magician in the late 1950s, who takes a trip to Scotland in an effort to find steady work for himself. Whilst there, he meets an innocent and charming young woman, who seems convinced that some of the tricks he has performed are real; he decides to devote his life to ensuring that her belief in magic never wavers. Above all, the film brilliantly portrays the great change in society which took place in that era, as Tatischeff and his fellow stage performers (including a troupe of acrobats, a ventriloquist and a very depressed clown) become increasingly aware of their own obsolescence, and are forced to make way for a generation captivated by television and rock and roll. Although I found the film a little slow at first, as the story reaches it's conclusion, I found myself feeling deeply moved by Tatischeff's plight. 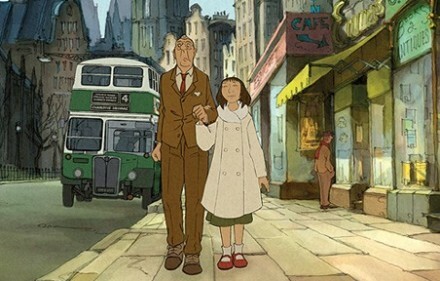 It's also an absolute treat to look at - with some of the most beautiful 2D animation I've ever seen. The only movie I saw at the cinema this week was Paul Thomas Anderson's latest effort, The Master. The film examines the charismatic leader of a Scientology like cult (known as 'The Cause'), and his efforts to mould a troubled young man named Freddy Quell, an alcoholic drifter who wanders across his path. I'm a huge fan of PTA (as he's known to his friends), so I'm sorry to report that in my opinion, this one doesn't quite measure up to the likes of Boogie Nights, Magnolia or There Will Be Blood. It's kind of a perplexing movie in many ways, because there's so much about it which is fantastic. 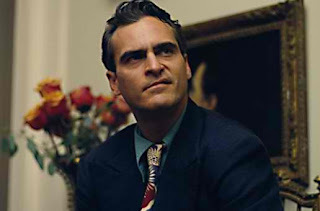 The cinematography is breathtaking, the score (from Radiohead's Jonny Greenwood) is superb, and the two lead actors, Joaquin Phoenix and Philip Seymour Hoffman, are both brilliant. Phoenix's performance, in particular, is amazing - playing Freddy Quell, he is able to create a sense of the character's tragic history just through his awkward, ungainly mannerisms and unpredictable outbursts. 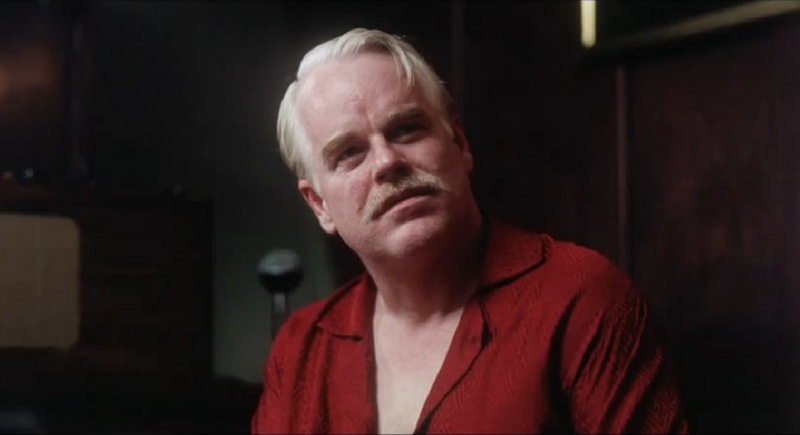 Having said all that, I don't think I can rate this film too highly, because I really had no idea what PTA was getting at. The plot moves at a leisurely pace, but by the end of the picture, it seemed to me that very little of of note has actually happened to the two main characters, despite the film's substantial running length. Possibly a second viewing will enable me to get something more out of this movie, but for now, I'm going to have to label it a misfire - albeit one with significant plus points. Moving on, a couple of movies which were a little disappointing. Exhibit A: Stripes (6/10), a movie which sounded (on paper, at least) like it couldn't fail. Bill Murray! In his prime! Up to no good during army training! 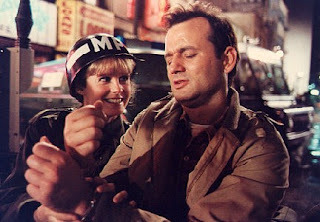 In practice, while the script contained a high number of gags, it was a very hit and miss affair, content to coast on Bill Murray's laid back charms. 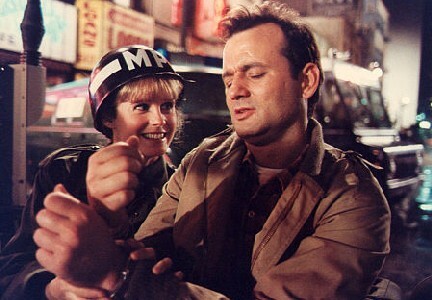 As far as Bill Murray movies go, this one was closer in quality to Garfield than to Groundhog Day. Exhibit B: Weird Science (5/10). It seems a bit redundant to complain that this type of raunchy '80s comedy is extremely dated, but this film feels like something which should have been locked in a vault in 1989 and never re-opened. The two teenage boys who are the protagonists of the film were so irritating that I found myself rooting for the school bullies (one of whom was played by a young Robert Downey Jr, btw). Definitely not one of John Hughes' finest hours. "Freddie Quell: What do you do? Lancaster Dodd: I do many, many things. 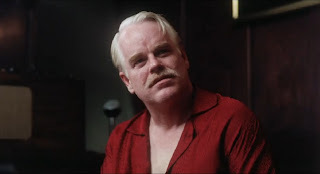 I am a writer, a doctor, a nuclear physicist and a theoretical philosopher, but above all, I am a man, a hopelessly inquisitive man, just like you."